NEW SEMESTER STARTS FEBRUARY 6, 2019! 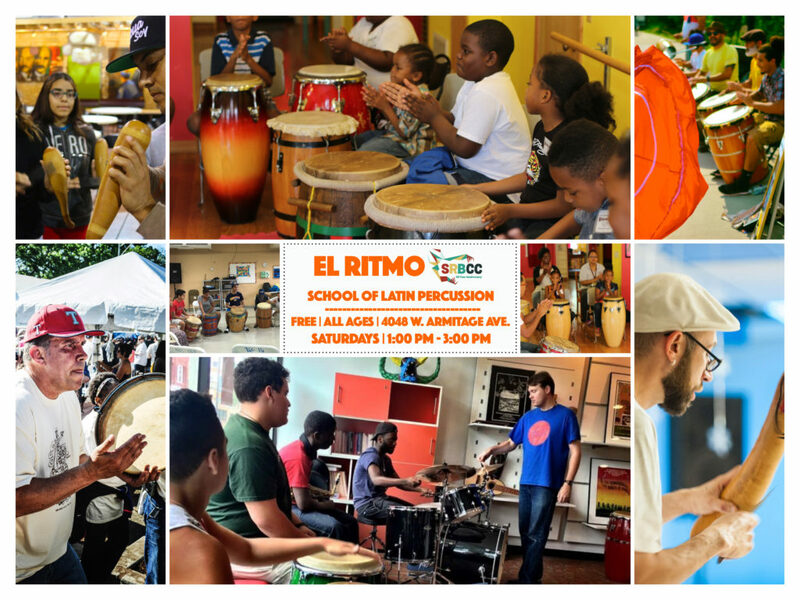 La Escuelita Bombera De Corazón, founded by SRBCC Resident Artist singer, dancer and percussionist Ivelisse Díaz (Buya, Las Bompleneras, Iré Elese Abure) is ready to start a new semester. Classes will run for 8 weeks! Cost: $65 for semester. Discount available for those who choose to take more than one class. Email us at info@srbcc.org to reserve your spot and go over registration details. You may also call us at 773-698-6004. Every Saturday from 1:00 pm to 3:00 pm. Segundo Ruiz Belvis Cultural Center 4048 W. Armitage Ave., Chicago, IL 60639. Instruments: Conga, Timbales, Bongo, Maracas, Clave, Cowbell, Güiro, Barril, Pandero. Email instructor Michael Rodríguez at info@srbcc.org or call for details at 773-968-3197.